According to a recent appellate court opinion, a person can sue the South Florida Fair for personal injuries, but only up to the sovereign immunity limit. In South Florida Fair and Palm Beach County Expositions, Inc. v. Widley Joseph, the appellant (Joseph) was seriously injured at the fair and sued both the South Florida Fair and its operator, W.G. Wade Shows, Inc. The latter entity was dismissed, which we’ll discuss below. The Fair sought summary judgment claiming it had limited immunity as a state instrumentality. The opinion covers some detailed legal principles in Florida Statute 768.28(5) and Florida Statutes Chapter 616. Essentially, the former statute provides a cap on liability for state actors (aka “limited sovereign immunity”) and Chapter 616 discusses how the Florida State Fair is, indeed, a state actor. As the opinion points out, “[o]f course, the South Florida Fair is not the Florida State Fair.” However, Chapter 616 shows us that local and regional fairs are heavily regulated (even their money is “perpetually public property”). 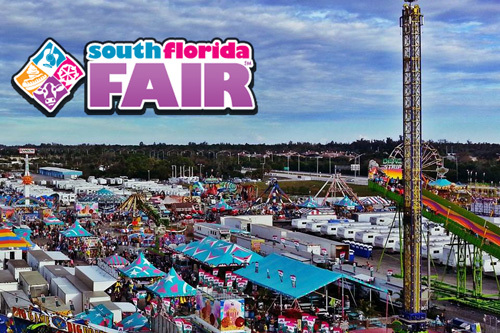 The kicker is Florida Statute 616.19 which says that a fair association (here, the South Florida Fair) “shall be recognized by the state as equal in dignity to the Florida State Fair…” The Court read that to mean that the South Florida Fair is entitled to the same limited sovereign immunity. It is unclear whether the Plaintiff in this case was able to collect some money from the operator before dismissing them. That might be one avenue. The other option is to proceed against the South Florida Fair, but only up to the limited sovereign immunity amount of $200,000, unless a plaintiff then pursues a claims bill. While the underlying case may be a personal injury matter, the relatively recent changes in Chapter 616 as well as the complexity of dealing with private and quasi-state actors may be above the ability of a run-of-the-mill injury firm.